Terry Lynn Carlson has been on a 6 year hiatus. Prior to the break, he enjoyed a 40 year career as Actor, Director, Producer and Designer. He is looking to the “Workout” to hammer off the rust! He has appeared at The Ordway, Chanhassen, History Theater, Children’s Theater, The Old Log among others and has been on 3 National Tours. 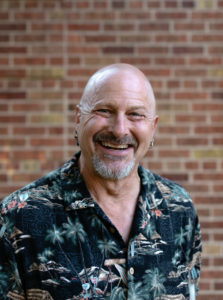 Terry was Artistic Director of Minnesota Festival Theater, Paul Bunyan Playhouse and Executive Director of Artistry. Emily Carlson was raised in Roseau, MN where her passion for theatre started in 1st grade. She graduated from Minnesota State University Moorhead in 2016 with a degree in Theatre Performance, with a minor in Women and Gender Studies. 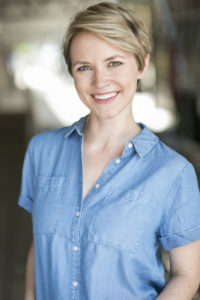 She’s worked with theatres such as CLIMB Theatre and Umbrella Collective. Outside of acting, Emily enjoy’s hiking, running, baking, binge-watching The Office, and play/screen writing.